University of Exeter is a UK Top 10 Russell Group University with an international reputation for research excellence. The University offers a range of degree opportunities across our stunning campuses in Exeter and Cornwall and at present over 5,000 students from over 130 countries contribute to a thriving international community. In the Top 1% of universities globally, our research has a strong interdisciplinary focus with opportunities to work at the interface of science, humanities, arts and social sciences. 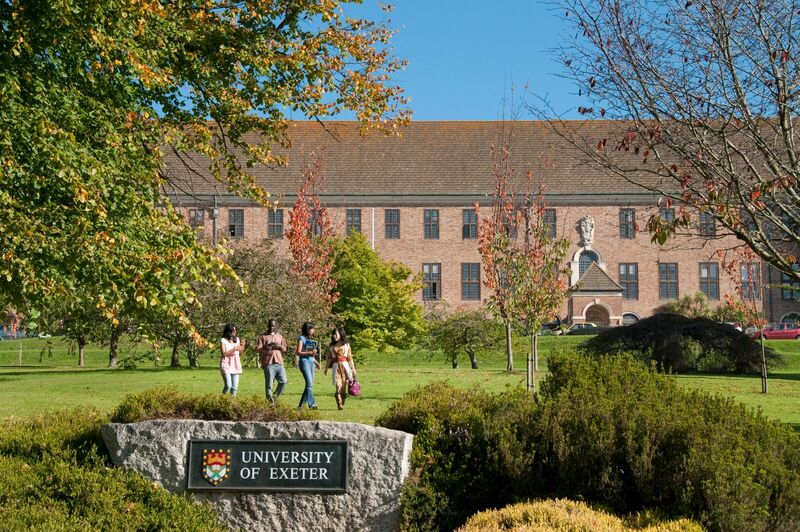 Students at University of Exeter are immersed in a Top Academic Environment, which offers a diverse range of stimulating programmes, recognised both in the UK and internationally. UK league tables place 27 University of Exeter subjects in the Top 10* – from Biosciences to Film Studies, Economics to Materials and Mineral Engineering, and Islamic Studies to Politics. 98% of our research is of international quality according to the most recent REF 2014 and 82% is rated as world-leading or internationally excellent* either/both The Times and Sunday Times Good University Guide 2015/The Guardian University Guide 2015. The University provides dedicated postgraduate support and training: our Researcher Development Programme equips students with all the skills required to successfully undertake their PhD Study, including a dedicated eProfile system to promote students’ research profiles to the academic community, sponsors and employers. Exeter is the 6th safest place to live in the UK and the 4th top place to live in the UK for recreation (Rightmove 2013) 94% of international students reported feeling safe and secure at the University, with 95.5 per cent agreeing that the location was a ‘good place to be’ (International Student Barometer Autumn 2013). Accommodation is guaranteed for all new unaccompanied international students in their first year of study.